BAYTOWN, Texas (April 14, 2019) – Steve Jackson got some redemption over Todd Tutterow on Sunday at the 32nd annual Mopar Express Lane NHRA SpringNationals presented by Pennzoil when he drove to a victory at Houston Raceway powered by Pennzoil during the E3 Spark Plugs Pro Mod Drag Racing Series presented by J&A Service final round. Houston marks the second of 12 races on the E3 Spark Plugs Pro Mod Drag Racing Series presented by J&A Service season. The class will return to action in at the NGK Spark Plugs NHRA Four-Wide Nationals at zMAX Dragway near Charlotte, N.C. April 26-28. BAYTOWN, Texas — Final finish order (1-16) at the 32nd annual Mopar Express Lane NHRA SpringNationals presented by Pennzoil at Houston Raceway Park powered by Pennzoil. The race is the second of 12 events in the NHRA Pro Mod Drag Racing Series. 1. Steve Jackson; 2. Todd Tutterow; 3. Mike Janis; 4. Jose Gonzalez; 5. Erica Enders; 6. Steven Whiteley; 7. Bob Rahaim; 8. Sidnei Frigo; 9. Khalid alBalooshi; 10. Rickie Smith; 11. Chad Green; 12. Alex Laughlin; 13. Michael Biehle; 14. Jeremy Ray; 15. Eric Latino; 16. Rick Hord. 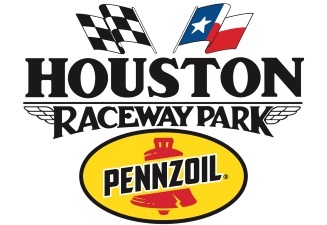 BAYTOWN, Texas — Sunday’s final results from the 32nd annual Mopar Express Lane NHRA SpringNationals presented by Pennzoil at Houston Raceway Park powered by Pennzoil. The race is the second of 12 events in the NHRA Pro Mod Drag Racing Series. Pro Modified — Steve Jackson, Chevy Camaro, 5.675, 255.00 def. Todd Tutterow, Camaro, 13.471, 76.06. 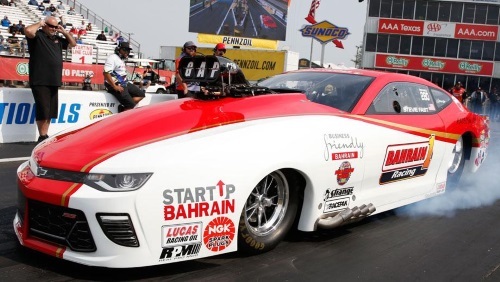 BAYTOWN, Texas — Final round-by-round results from the 32nd annual Mopar Express Lane NHRA SpringNationals presented by Pennzoil at Houston Raceway Park powered by Pennzoil, the second of 12 events in the NHRA Pro Mod Drag Racing Series. SEMIFINALS — Tutterow, 5.717, 251.30 def. Gonzalez, Foul – Red Light; Jackson, 5.699, 253.37 def. FINAL — Jackson, 5.675, 255.00 def. Tutterow, 13.471, 76.06. 1. Steve Jackson, 214; 2. Todd Tutterow, 211; 3. Jose Gonzalez, 114; 4. Jeremy Ray, 108; 5. (tie) Mike Janis, 103; Steven Whiteley, 103; 7. Chad Green, 89; 8. (tie) Michael Biehle, 86; Bob Rahaim, 86; 10. Marc Caruso, 72.